The retail industry is going through a new form of gratification. With every passing day, the changing shopping tastes and preferences are storming the industry with tides and waves. While on one hand, we have the offline stores creating the online presence, we also have the online stores finding some way through the bricks and mortar. According to a recently published survey, around 60 percent of the consumers in US, wish to get real-time promotions on their smartphones. Consumers now have more number of choices, which has eventually gave a hike to the competition in retail market and thus the one with innovative ideas that can walk with the evolving trends and demands. The retail market as of now, be it the online or offline, is going through a thunderstorm. The moment while on one hand shows you the exact status of the retail industry while on other hand leaves you baffled. Talking about the online retail market, it has been noticed that the retail leader like US has less than 20 percent of retail sales of entire market. Yes, the figure might not be satisfying but it’s true. After the entire havoc in online market, this is what the reality speaks. Where Are the Buyers Going? There is no doubt that people get to the online stores and look for their product. However, here another thing has been noticed. Most of the buyers visit the online store, check the review of the product they want, get to know about the best price being offered and further they buy the thing through a nearest offline retail outlet. The major reason behind this is the heavy discounts that are being offered by the online stores. The smart buyers today, use the smarter way to get the smart price and then demand the same from the offline store. Mobile, Desktop, and Tablets: The Major Contributor? Another survey reveals that close to 53% people prefer surfing the online market through their smartphone, while the remaining is grabbed by the tablets and the desktop. However, only 29% total online sales come through the smartphone applications. While for this, on one hand, we have the online sellers blaming the smart devices and the applications, the fact is that none of them tries to figure out the glitch, which leads to the underperformance. Out of the top 100 global online retailers, only 60% have their dedicated mobile websites. Let us understand the fact that a website isn’t just a formality to create an online presence, it is a way to communicate, express, and understand the potential buyers. Compromising with same can lead to unfavorable results. Another trend that has been noticed in past sometimes is the click and collect. With this the buyers are given entire freedom to buy online, however, to collect their product they have to go the nearest offline store. While on one hand, this gives the buyers a freedom to have the product as per their requirement and convenience, on another hand, some might find this a bit tedious and out of the link. The primary reason calculated behind this is linked with the logistics department and the delivery concerns. While in 2014, around 97% of UPS ground packages got delivered on time during the festive season, in 2015 it dropped to just 91%. With this new trend rolling the dices, for the year 2015 Sam’s club managed to cover 30% of their online sales. A recent study revealed that by the year 2020, approximately 33% of total spending can be noticed by the population ranging from 13 years to 30 years. In recent months it has been noticed that the American population is spending a major section of their earnings on home, cars, and real estate, but the fact can’t be avoided that very soon the retail industry will face the hike like before. So, now to tackle the coming flood, I believe the retailers should spend this time in getting a better infrastructure and in managing the probable market threats like demand, choice, inclination, etc to land in future. Before signing off the blog, I would just say that the time has come when retailers should find a better app and website developer and make their online presence worth all the time and effort of consumers. The loading time should be less and the interface should be friendly. I believe this is when they’d be successfully able to tackle the coming days of the retail industry in the US. 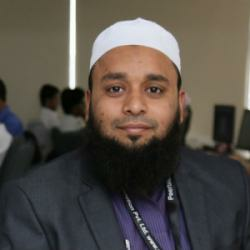 Shahid Mansuri co-founded Peerbits , one of the leading mobile app development companies, in 2011. His visionary leadership and flamboyant management style has yield fruitful results for the company. He also run Makeanapplike.com, a mobile app development calculator. He believes in sharing his strong knowledge base with leaned concentration on entrepreneurship and business. Being an avid nature lover, he likes to flaunt his pajamas on beach during the vacations.